Macao Light Festival 2017 has been launched at the Ruins of St. Paulon on Dec 3. Following the opening lights up the city, a series of festivals and events will fulfill and decorate the entire December. Entitled as “Wish-Making under the Stars”, the opening ceremony focuses on dance performance which has been choreographed and presented by a local dance troupe. Since the opening ceremony, a string of projection mapping shows and light installations have been unveiled at 8 main local tourist attractions which will take sightseers and residents onto a marvelous journey. In addition, interactive games, light art exhibitions, outdoor concerts and movie shows will also be inaugurated during the light festival. 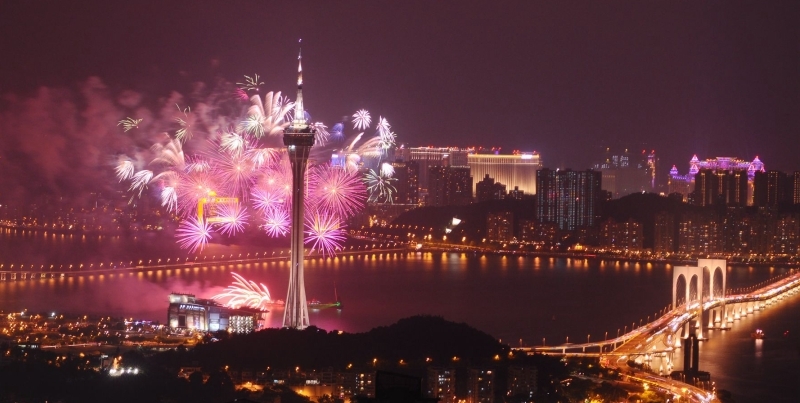 According to Senna Fernandes, the director of Macao Government Tourism Office, an array of events and festivals are waiting to be presented to fill December including the 2nd Macao International Film Festival & Awards, Macau Shopping Festival, the 18th anniversary of Macao SAR’s establishment, Christmas and the New Year’s Eve.